For many occasions, I have run into such queries many times and luckily I have solutions available for you to get iTunes music free. If you are a music lover and don’t want to spend a fortune on growing your iTunes music collection, read the article carefully to learn how to get iTunes music for free. 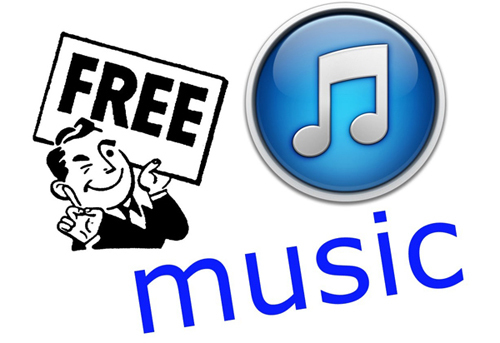 3 solutions to get free iTunes music without paying a single penny will be introduced here. As we all know, iTunes itself is a great music provider which allows you to find all of your favorite songs in one place. iTunes used to give away free music each Tuesday and you may find that one of your favorite songs was a part of those free music files on “Free on iTunes”. In the past, it is much easier to get music on iTunes free. However, thing changes now. Since the existence of Apple Music service, iTunes has stopped providing “Free on iTunes” service. Getting music on iTunes for free seems impossible nowadays. If you really think so, think again. Although “Free on iTunes” service is gone, we can still get free music on iTunes by ultilizing Apple Music’s three-month free trial. Right now let me show you how to get music on iTunes for free. Just check out and never miss out the opportunity of getting great yet free music on iTunes. Step 1: Firstly use your computer, iPhone, iPad or iPod to open up iTunes music store and sign in. If you run on a computer, please open up iTunes first, then go to the iTunes music store. Step 2: Choose your desired iTunes music and right click it to play. If your iTunes account hasn’t subscribed Apple Music, a notice panel will pop up. You can click on “Join Apple Music” to enjoy a free three-month trial period for Apple Music. During the three-month trial period, you can get music on iTunes for free either by downloading or playing. If your Apple Music trial service has expired, you can try the second solution to get free iTunes music. You can look for your preferred and desired iTunes music on iTunes, copy the name and artist of the music, paste the music information on some websites that offer free MP3 downloads. 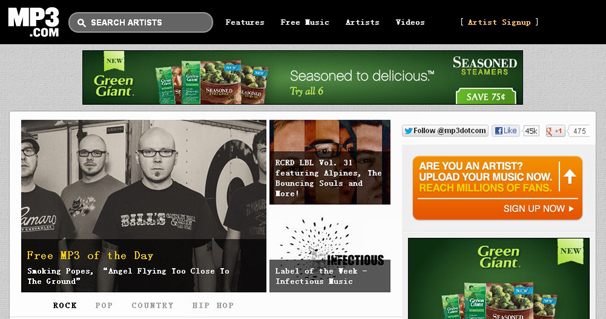 In other words, the second solution I introduce here is to visit those websites that offer free MP3 downloads. You can get free iTunes music by searching the music name on those website and then download the music. However, what I should mention is the qualities of the tracks are sometimes questionable. But this is still the fast way for you to get iTunes music for free. Those tracks are already MP3s, so they can be played on iTunes. After downloading favorite songs from those sites, you can open iTunes, drag and drop the tracks into the windows. After a few minutes, they are available for listening via iTunes. The following sites are some great websites for downloading free iTunes music. Currently we can use a DVR to record TV shows, and we can also use a music recorder to record online streaming music. If you are those people who want a tool to get free iTunes music via recording, Leawo Music Recorder can come in handy. This top-rated music recorder software could record online music from iTunes, YouTube, Vimeo, Pandora, Last.FM, Napster, Spotify, GUBA, NPC, MySpace, etc. So when you watch music video on sites like YouTube, Vimeo, etc. or listen online music from sites like Last.FM, Spotify, etc. Leawo streaming audio recorder will help you get the background music with ease. Apart from recording songs from online music video and music sharing sites, it can automatically add song tags to recorded audio files, including song artist, song album, album artwork, song name, etc. You can check out how to get music on iTunes for free with Leawo Music Recorder below. Download and install Leawo Music Recorder or Leawo Music Recorder for Mac. Before you start to record audio, you need to figure out what kind of audio source to record. Click “Audio Source” icon on the bottom-left corner to invoke the Audio Source settings panel. As you are going to record iTunes music, you need to select “Record Computer Audio”. If your source audio is external audio of your computer, you need to select “Record Audio Input” option. Click the inverted triangle button on the top-right corner to invoke the program settings panel. Under “General” tab you need to set the output directory to save recordings. Under “Format” tab you need to set the format (MP3 or WAV) for output recordings, and you could also set the audio parameters here. After recording, this music recording software could automatically download and add music tags such as Title, Artist, Album, Album Artwork, Year, Genre, etc. If you’re not satisied with the results, or the program failed to add song details, you could edit the song tags manually by right-clicking the desired recording to select “Edit Music Tags” option. Learning how to get iTunes music for free can really help you save a sum of money supposed to be spent in purchasing iTunes music. I sincerely hope the three solutions above will do you a big favor.